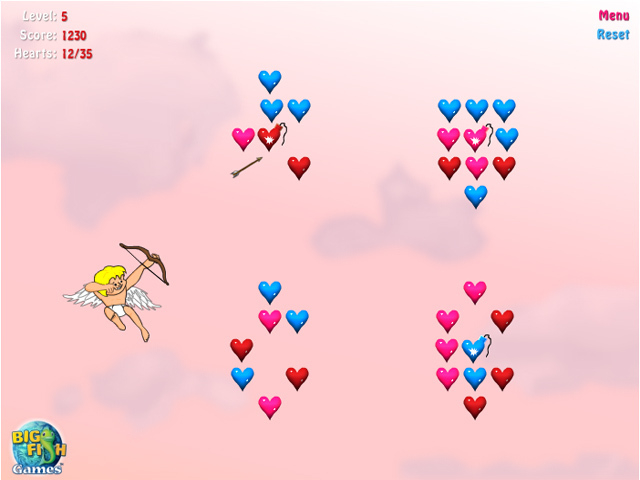 Use Cupid`s arrows to shoot down hearts! 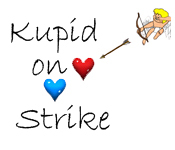 Time and aim your shots just right to avoid obstacles and pop as many as you can.Use Cupid`s arrows to shoot down hearts!Kupid has gone on strike and is making it his goal to break as many hearts as he can! 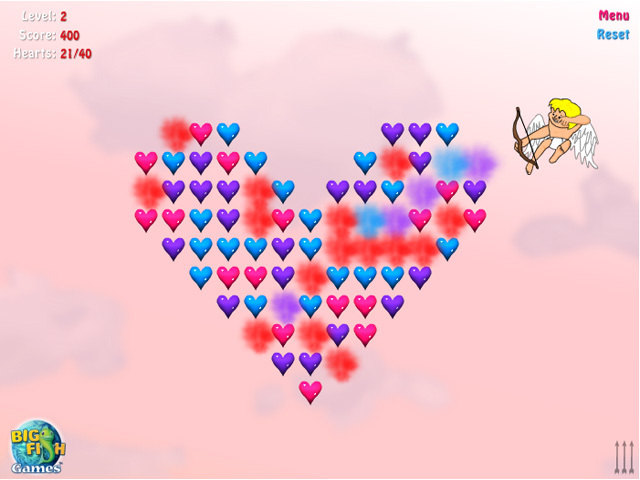 Help Kupid use his love arrows to shoot down hearts. Time and aim your shots just right to avoid obstacles and pop as many as you can. Use special items to blow those hearts out of the sky!